Recently I was given the opportunity to interview Chris Dlugosz, the keyboardist and one of the founding members of the video-game band ArmCannon. We spoke upon several topics, ranging from the creation of the band, collaborations and the future of the band. SB: Where did the bands name ‘Armcannon’ come from, was there a chance it could have been something else? CD: I took inspiration from the formula of that name and came up with “The Armcannons” for us. The word armcannon is a direct reference to the weapon of choice by both Mega Man and Samus Aran of Metroid, both franchises whose music we planned to tackle. Suddenly, our guitarist Mike Willard declared it should just be “Armcannon” and the rest of us immediately resonated with energetic agreement. It sounded so much stronger. It was definitely one of those moments that made us what we are. SB: How did you come together as a group? CD: I was always a keyboardist my whole life, and as you might expect from any kid born in the early 1980’s, much of my musical energy was siphoned from Nintendo games. By the time I got to college, I had a respectable library of game melodies memorized in my head. It was in college that I met guitarist Dan Behrens. CD: At first we did not think much of each other, as is the habit of all newly acquainted musicians ever, but the moment he mentioned that he enjoyed the Kraid theme from Metroid, he got my attention. 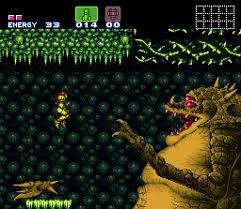 That is because the Kraid theme was always one of my favorites, jutting deeply into the core of my nostalgia engine. It was Kraid that led us to hang out on our own outside of college. And sure enough, with the help of another friend and guitarist Mike Willard, Kraid was the first Armcannon track we ever wrote. This was in 2005, in my Dad’s dining room. SB: How would you define your genre of music and what sets you apart from other Video-Game Bands? CD: Since day 1, we knew it was of utmost importance to inject some original re-arrangement of the songs we cover. This was to separate us from one of the earliest videogame music bands, The Minibosses, who played straight direct covers of the music. At the time, in 2005, there was a booming new subculture developing on the internet, comprised of people creating “remixes” of classic game music. 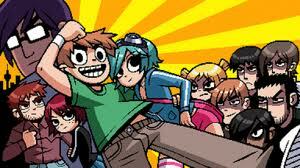 SB: Would you say you were all gamers when you created the band? CD: Absolutely not. In fact, only two or three of us five had the actual passion of childhood gaming fueling a deep rooted nostalgia for the music. The rest of the members were simply happy to learn what we asked them to, and they quickly discovered that videogame music was typically complex and therefore fun to perform. SB: With all the work you’re doing for the band, touring, making albums and doing interviews are you still able to game? If so what have you been playing recently? CD: Personally yes, gaming is still important to me. I have held a hit or miss loyalty with Nintendo since their beginning. I currently go back and forth between the newest games and delving back into classics, resulting in quite a mix. My last month or so has entailed: Ninja Gaiden for NES, The Legend of Zelda Twilight Princess for Wii, Animal Crossing New Leaf for 3DS, and Shadow of the Colossus re-released in HD for PS3. 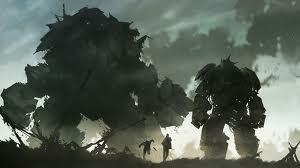 By the way, Shadow of the Colossus is, hands down, the singular game I adamantly recommend that everyone MUST experience. SB: If there was one thing you could change in Gaming History what would it be? CD: Pretty much the entire complex tangled history of gaming is what brought us to where we are today. The legendary rivalry between the Super NES and the Sega Genesis poured so much coal onto the flame, and the consumer was the winner. I have more issue with the latest trend where the biggest budget games are looking more and more like hollywood movies, complete with the crowd-pleasing lack of intelligence. Move from scripted set piece to set piece while occasionally shooting things. Thankfully, the dawn of the renaissance of indie gaming is exploding as we speak. Exciting times. Gaming is gearing up for a long haul comparable to the history of film. SB: What would you say has been the best experience you have had since you became a band? CD: Meeting, networking with, and befriending literally hundreds of amazing people and astounding musicians, each utterly passionate about game music. It literally feels like a family. 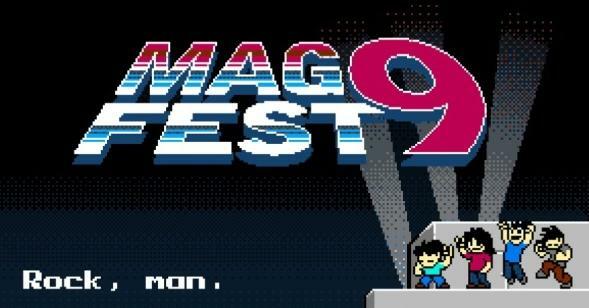 The biggest hub of this subculture is the annual game music festival MAGfest [magfest.org]. It stands for Music And Gaming, with the distinct intention of having the word Music first. MAGfest features all of the greatest video game bands playing night after night over a 4 day weekend, as well as an overwhelming amount of other entertainments such as entire convention banquet halls filled with classic arcade cabinets free to play. Armcannon has been one of the major acts there since 2006, and we are forever grateful for the staff there for having the passion to be pivotal in keeping our exponentially expanding subculture a close knit family. SB: Are there any of your peers that you get on with really well? 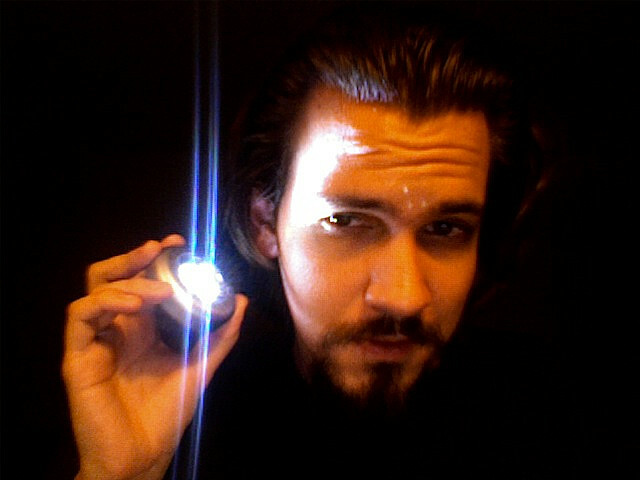 Or is there somebody out there right now that you would like to do a collaboration with? CD: Due to the above mentioned close-knit factor of our hugely networked family of game music enthusiasts, new friendships and collaborations are happening literally daily, and you would be astounded how frequently these musical efforts get released onto bandcamp.com and end up being the #1 album on the site for days. Our own guitarist Dan Behrens, who goes by the monicker Danimal Cannon for his solo chiptune pursuits, just recently finished a collaboration album with another astounding chiptune artist named Zef. 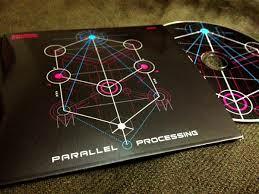 Their album is called Parallel Processing, and you can listen to it for free on bandcamp. It showcases easily some of the most advanced programming techniques ever conceived on the Game Boy sound chip, and its an all-around raw fleshy energetic celebration of what the chiptune subculture yearns to devour. SB: What do you think of the latest video game soundtracks and how do they compare to the classics such as Megaman and Castlevania? CD: The limited hardware of the old systems like NES literally forced the music composers to creatively come up with ways to articulate their music with a severely limited sound chip. More often than not, they ended up coming up with melodic ideas and arpeggios and other complex note programming that would never have manifested if they were never limited in the first place. The tight squeeze of the old sound chips coaxed better creativity out of the composers. Today, the unlimited blank canvas of composing allows for bigger sound obviously, but smaller passion in the realm of thoughtful melody. As musicians, we value melody over instrumentation. SB: You released your latest album Leg Vacuum 2 in January, can you tell us where the album name Leg Vacuum came from? CD: First, it should be understood that pretty much 100% of what we name, be it albums or track titles, is a complete joke. The phrase Leg Vacuum was conceived off-the-cuff as a semi-literal reversal of the words Arm and Cannon. Arm:Leg::Cannon:Vacuum. Literally everything we name is a form of useless, pretentious, clever, belabored word-play. SB: Do you ever receive fan requests or ideas for new songs? CD: Indeed and we cherish that as a sign that fans are interested and responding. Ever since the beginning, and to this day, we have maintained a long laundry list of “songs to do” at which we occasionally pick away bit by bit. Many fan requests are for modern games, such as Halo, and we try to hold firm to the rule of never deviating away from the NES and SNES era, which to our 80’s kid hearts, is the most classic and nostalgic era. SB: What does the future hold for the band? CD: There are no certainties, but there is one really good factor: That we love working together as musicians. If Armcannon somehow got shut-down tomorrow, we would just immediately continue working together on other original music. So far, we are writing a new track for a collaboration project that is currently top secret, but will be huge as it gets announced later. Our workflow of writing and programming and recording is constantly getting polished and more efficient, so i can safely say that the best has yet to come. SB: Anamanaguchi were hired to do the soundtrack for the Scott Pilgrim game, is there a game out there that you would like to do the music for? CD: Our own Danimal is already doing music for mobile indie games. That is how you get started and you just climb from there. But its a LONG climb. We tend to be more interested in keeping Armcannon a labor of love rather than a career. Must never sacrifice the fun factor. With that said, if anyone offered me a game music composing job, my immediate answer would be a resounding yes to any game ever.